The Techno-Dwarves have constructed the most enduring post-Cataclysmic civilization, forging asteroids, moons, and even entire planets into elaborate subterranean mega-cities. 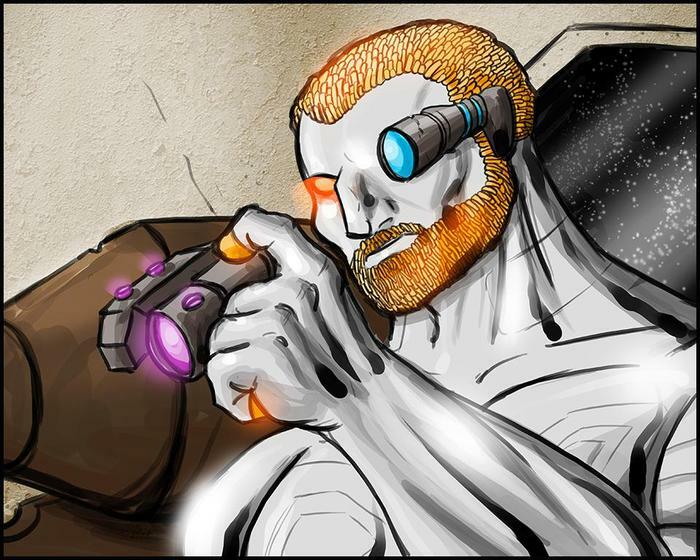 The greatest of the Techno-Dwarven kingdoms is Fornskjoeld, an enormous fortress-city carved into the heart of an icy planetoid and ruled by Asvard the Great-Speaker, an ancient craftsman and warrior of great skill. Although relatively few Techno-Dwarves ever choose to leave the confines of their planet-cities, their population and longevity ensure that there are always Techno-Dwarf enclaves in the great cities of other races. Fargrim Kadlisyn set out from Fornskjoeld nearly three decades ago in search of challenges that would allow him to perfect his craft. Like many of his race, Fargrim's search for perfection brings glory to Fornskjoeld and Aesa their Mother-Queen. Most Techno-Dwarves find their life's purpose in creation, and Fargrim is no exception. He is, however, rather... non-traditional. His area of expertise is in the creation of explosions. He strives to find the perfect explosion - one that will leave no trace of either the explosive or the target. 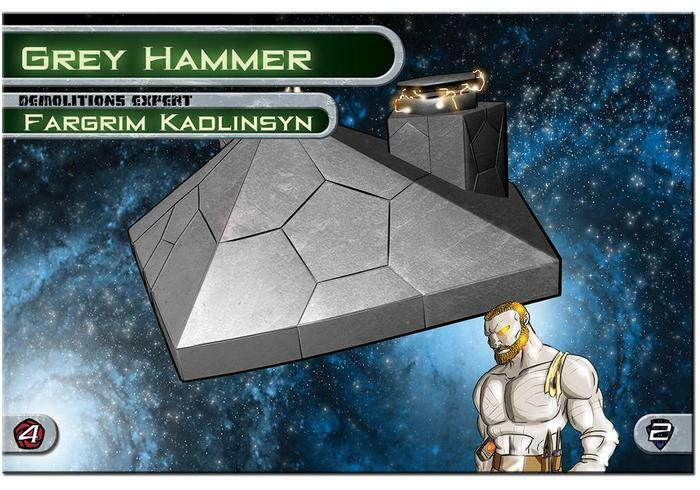 Fargrim is the chief engineer of Grey Hammer, a classicly-styled Techno-Dwarf bomber. Although its blocky configuration may not fit the streamlined prejudices of other races, its substantial payload capacity and weapons range makes it as coveted as any other Techno-Dwarf vessel. Though he and his Techno-Dwarf crew jointly control the operation and weaponry of the gunship, Fargrim ultimately directs the united effort of the crew. While his bright steel skin and short-cropped brassy hair and beard make him appear much younger than his contemporaries in other less physically demanding professions, his genius is evident to any who fly with him in battle, whether as allies or as enemies.